Open a trade account with us for a fast and simple ordering process. We stock a wide range of welding supplies and consumables for all of your project requirements. All of our depots have trade counters for fast advice or collection of supplies and consumables. We have our own fleet of delivery vans and wagons to ensure the best delivery service. We sell a variety of tools and equipment that you might need when you order your welding supplies. We only supply products and equipment that we approve to be of the highest standard. We are confident once you set up an account with us, we will become your regular supplier. AWS are able to supply a complete and comprehensive range of welding consumables, safety equipment, machines and hire plant. A fleet of delivery vans and wagons enable us to provide a prompt and efficient delivery service, both locally and nationwide where required, and our trade counters are open at all depots for sales, collections and advice. AWS endeavour to supply quality product at the most competitive prices. Detailed below is a short list of some of the products and services available from Adlington Welding Supplies Ltd.
Adlington Welding Supplies Ltd have depots in Scotland, Teesside, Scunthorpe, Chorley, Luton and Pembroke. Covering the whole of the UK to deliver your goods fast and efficiently. 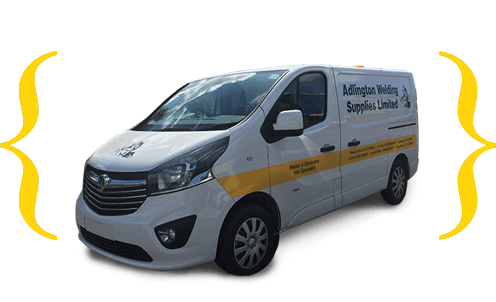 Adlington Welding Supplies Ltd are a central supplier for all your hire equipment and the supply of your welding consumables and products.